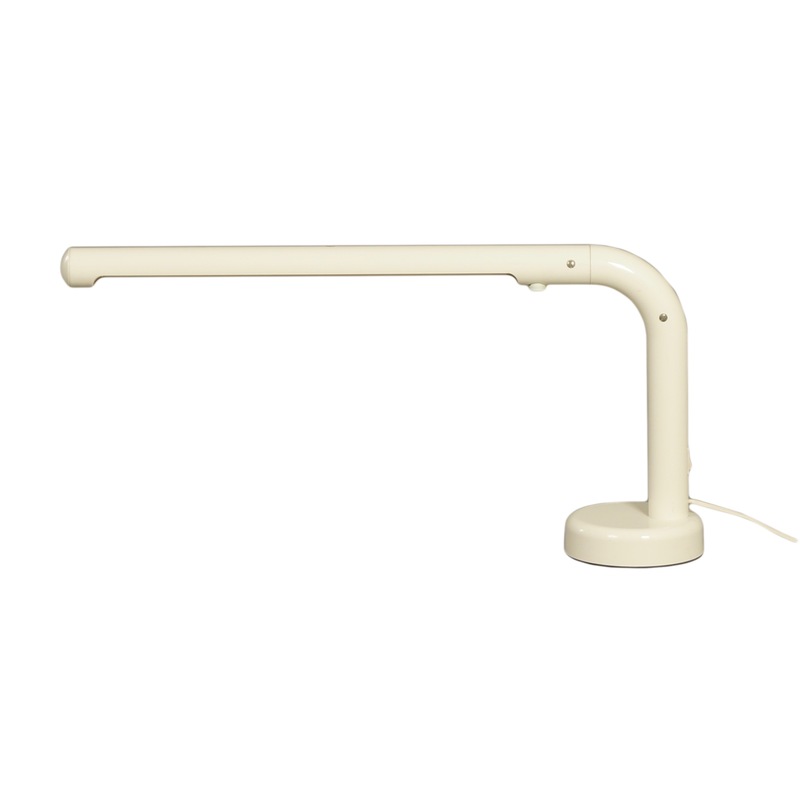 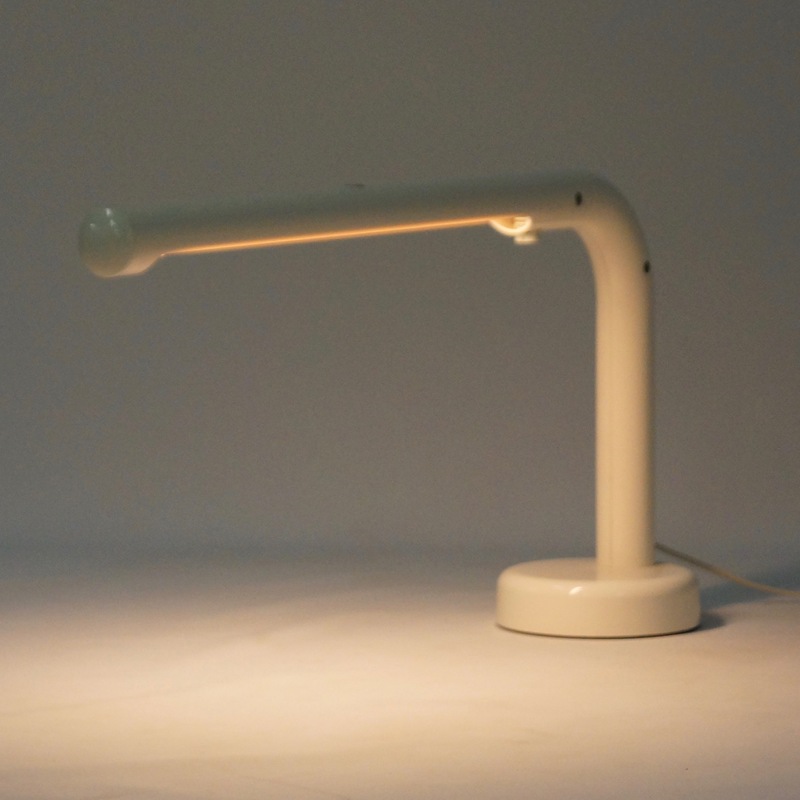 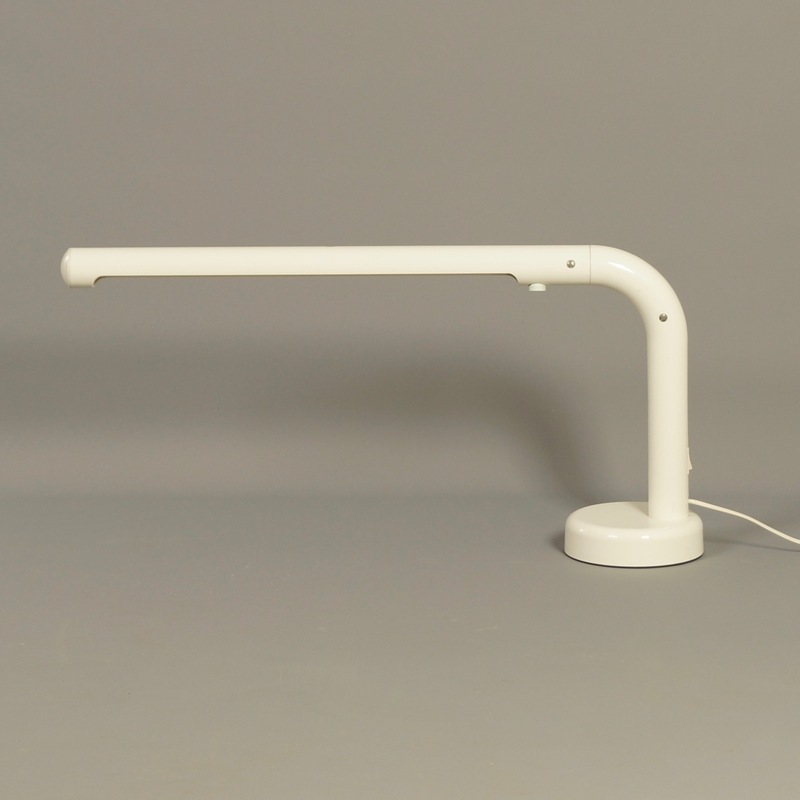 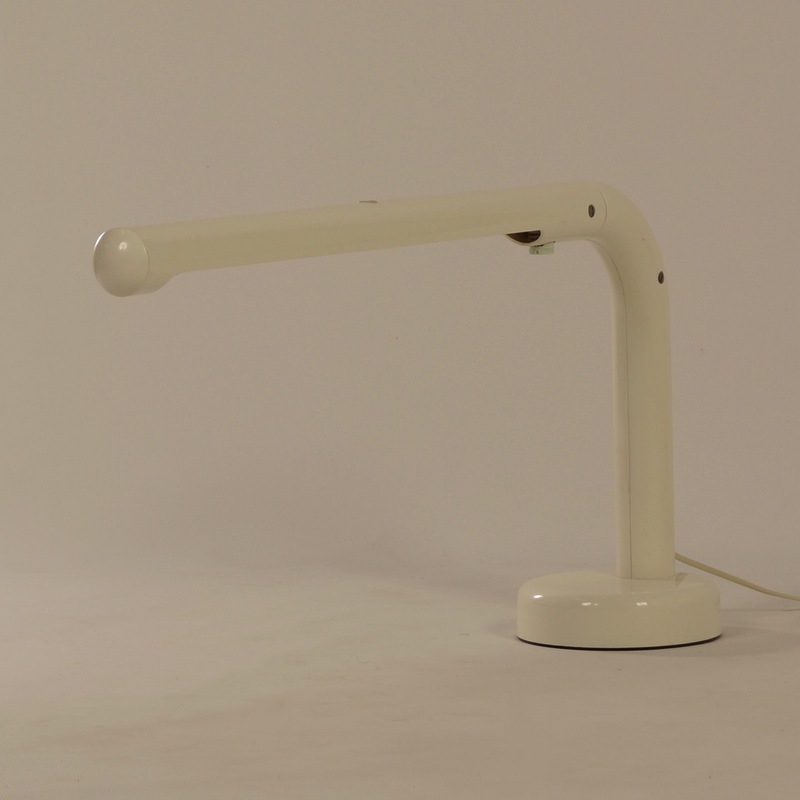 White tube desk lamp, designed by Anders Pehrson for Atelje Lyktan (Sweden) in 1973. 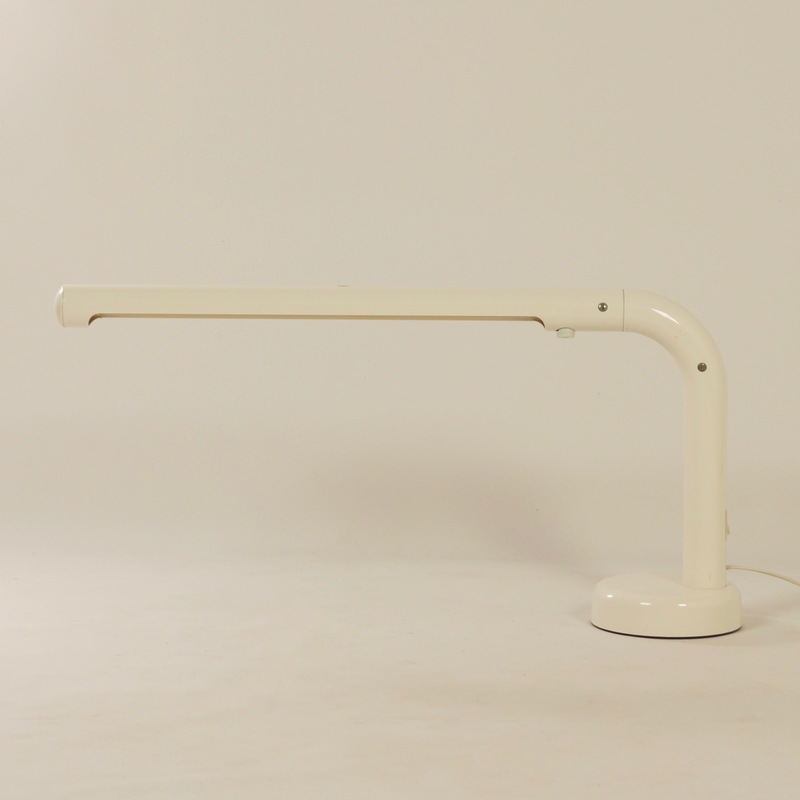 A popular classic from the seventies. 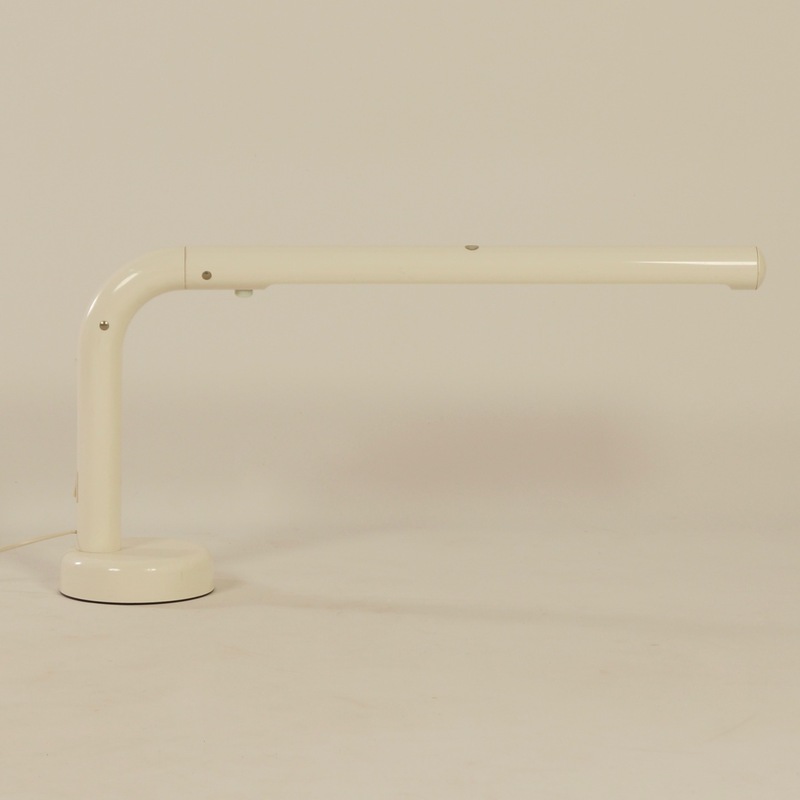 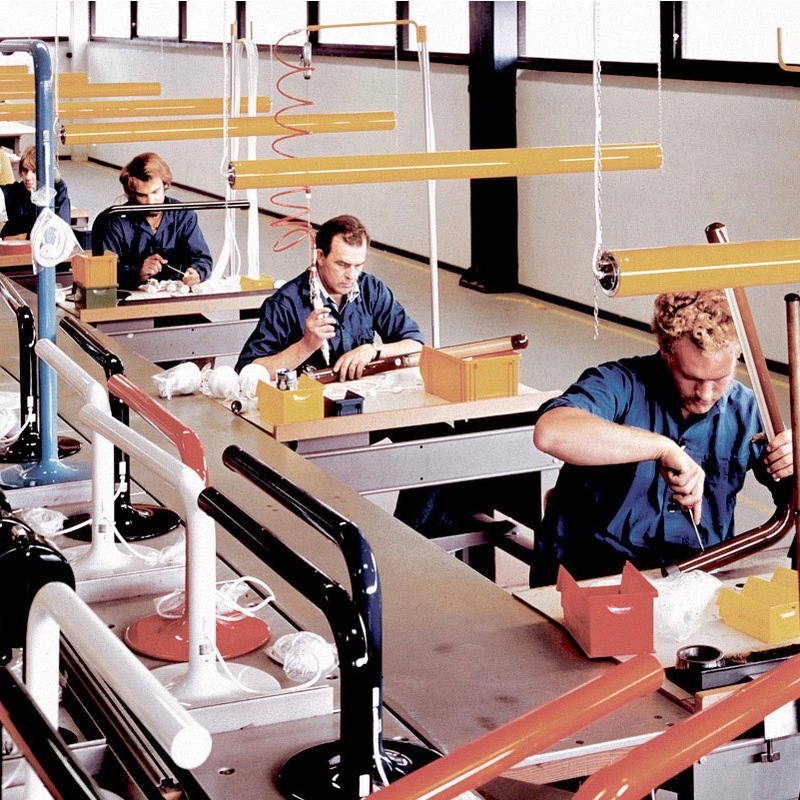 Pehrson proved with this lamp that a fluorescent tube in a nicely formed armature is a great light source for at home or the office. 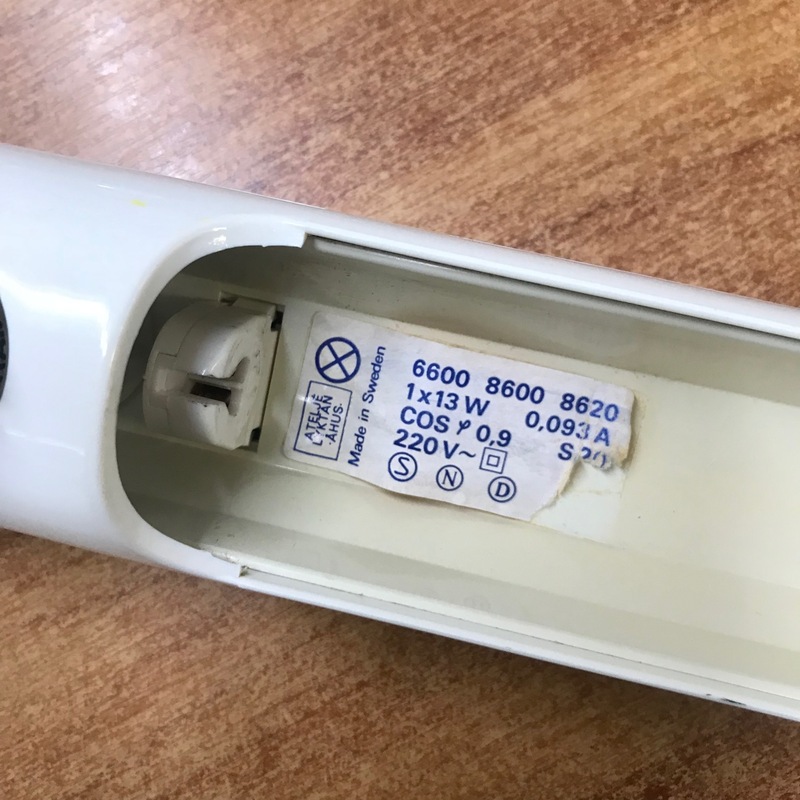 The foot and the tube are made of plastic. 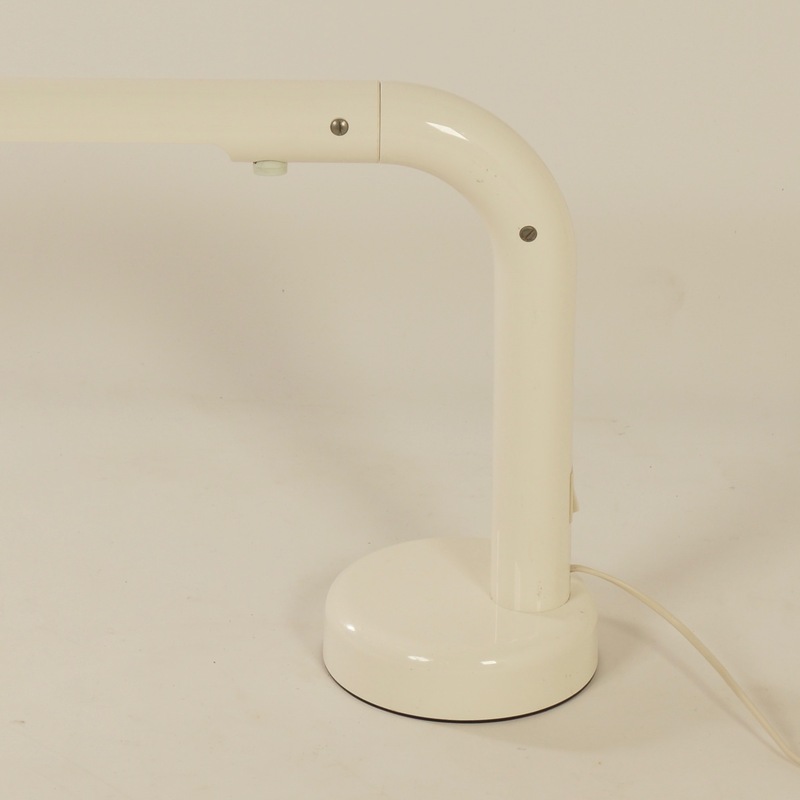 In the hood is a fluorescent tube of 13W. 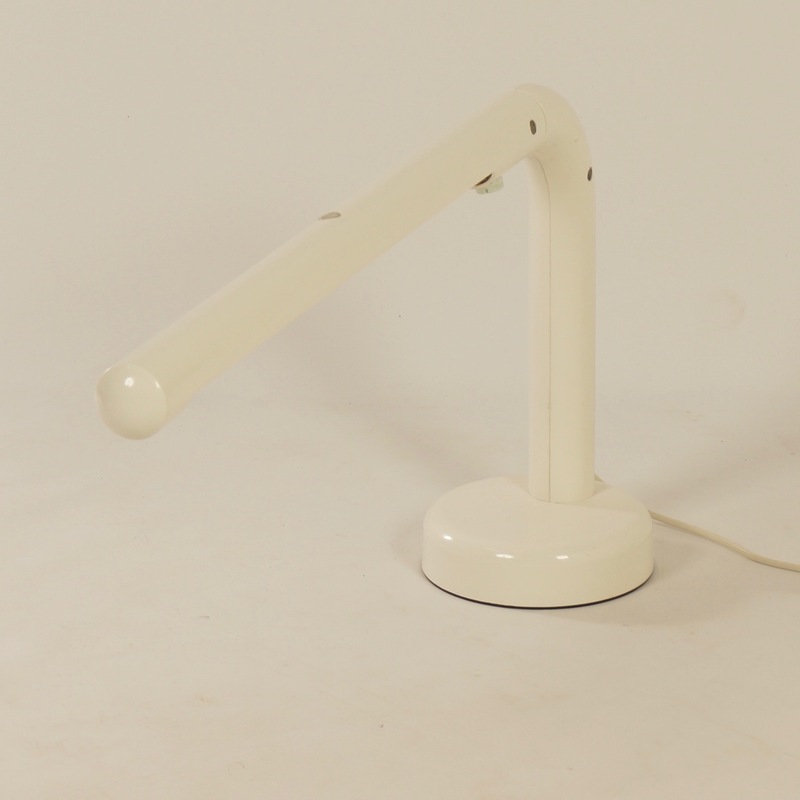 Considering its age this white vintage floor lamp is in very good condition (see photos). 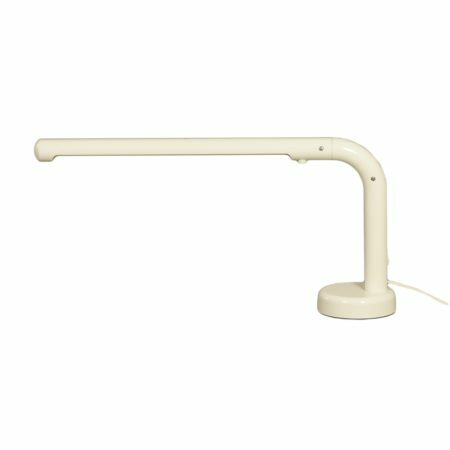 Marked: in the cap Atelje lyktan, Sweden (see photo).